Gift certificates make excellent gifts for your friends and family so why not give the gift of Laser Therapy or Reflexology this year with a Calgary Laserworks gift certificate! You can help empower a friend or family member to put an end to their nicotine addiction, try something new to reduce stress, anxiety and even those excruciating migraine headaches, or even help with weight loss. 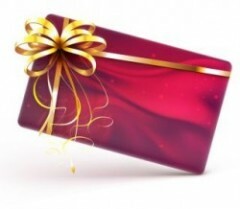 A pre-paid Calgary Laserworks gift certificate is the perfect gift option. Why?! Technology has improved to the point where laser therapy is a safe, highly effective and affordable way to quit smoking once and for all. Laser therapy stimulates the release of endorphins, those natural “feel-good” chemicals, creating a feeling of well-being. Stress and anxiety can interrupt the smooth flow of energy throughout the body, but laser therapy has been shown to help the energy flow smoothly, reducing stress and lowering anxiety. Laser therapy targets key energy points on the body helping patients heal more quickly and with longer lasting results. It is a safe and non-drug alternative for pain control, including the oftentimes debilitating pain that comes with migraine. As a weight loss treatment, laser therapy activates cells effectively jump-starting the body’s metabolism and suppressing the appetite and controlling food cravings. Reflexology can assist in reducing stress by generating deep tranquil relaxation, helping the body balance itself and allowing healing energy to flow. Low Level Laser therapy promotes healing on so many levels. It’s as simple as that! Encourage those you care about most to live a healthier, happier life in the new year! Call 403-301-3730 today to discover more about Calgary Laserworks’ one-of-a-kind gift idea for someone on your Christmas list!